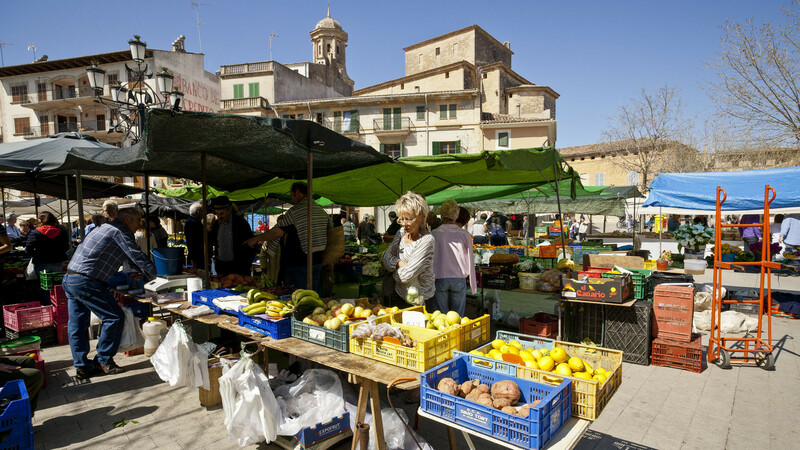 There are not one or two, but three weekly opportunities to visit Llucmajor's market: on Wednesdays, Fridays and Sundays. A market that has been taken on importance over time, and where you will find all kinds of fresh fruit and vegetables, household items, clothing and accessories, etc. On Sundays, in addition, the offer is complemented by a market of different products, so you will find a wider offer. As the population of Llucmajor has been growing in recent years, so has the weekly market of the town, as well as those of the different municipalities. Furthermore, as a result of the vertebration of the municipality, new markets have been implanted in the population centers, among which you can find the Arenal one, which takes place every Thursday. On the other hand, Llucmajor offers a wide range of possibilities to enjoy a pleasant day of shopping: fashion, furniture, home, footwear and accessories, electronics, gifts ... A good option to spend the day shopping!